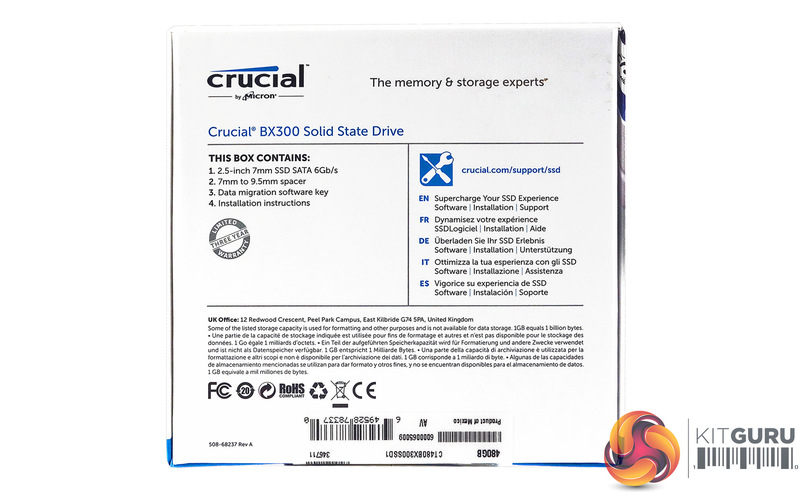 The Crucial BX300 comes in a clamshell type box with a large image of the drive on the front along with a sticker displaying the drive’s capacity. 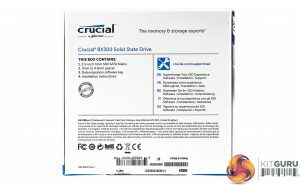 The rear of the box has a list of the box contents and a web address for Crucial’s SSD support page along with multilingual points about what you’ll find on the support page. 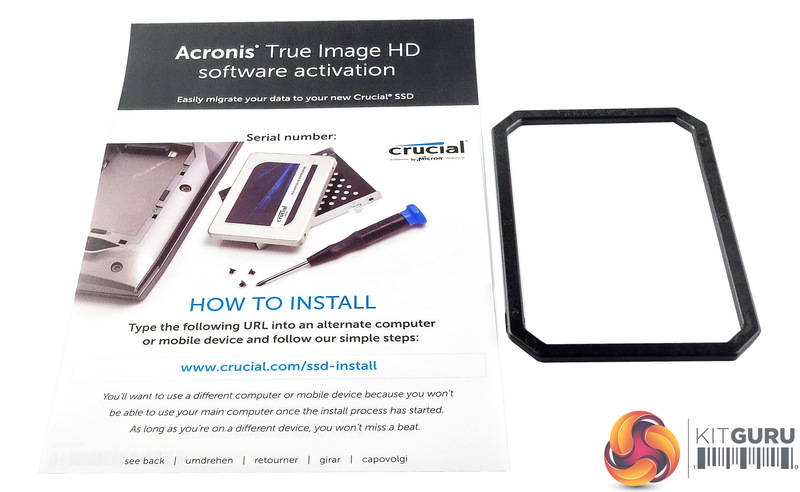 Inside the box apart from the drive is a 7mm to 9mm spacer to aid in installing the drive into larger notebook drive bays, an activation key for Acronis True Image HD, which can be downloaded from the Crucial website and a link address to Crucial’s How to install a SSD webpage that is a walk through on how to install a SSD if you’ve never done it before. 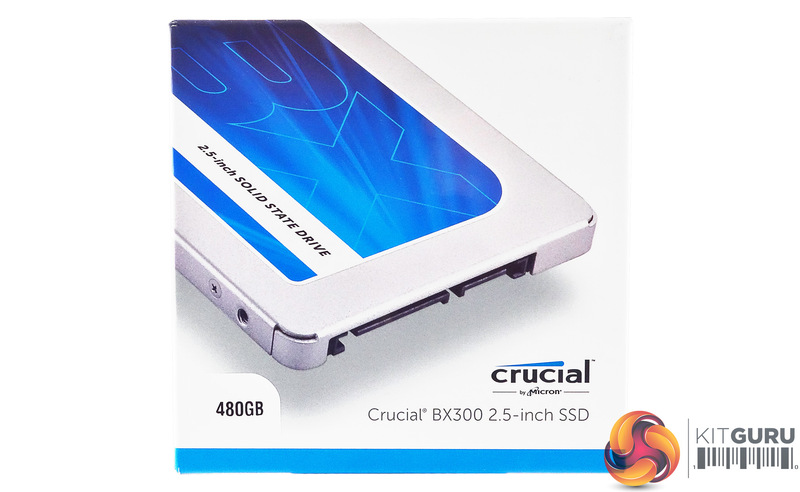 The BX300 is built on a standard 2.5in, 7mm format with a metal enclosure that is held together by four tiny screws. Once inside the enclosure you are confronted by the half-length PCB and four 64GB Micron 256Gb 3D MLC NAND packages with a FBGA code of NW818. 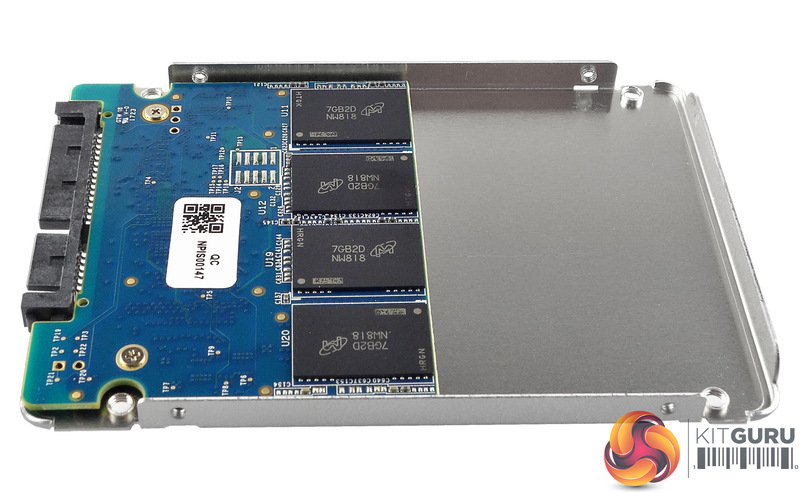 Using Micron’s FBGA marking decoder we get a MT29F512G08CECBBJ4-5M:B part number for the packages. 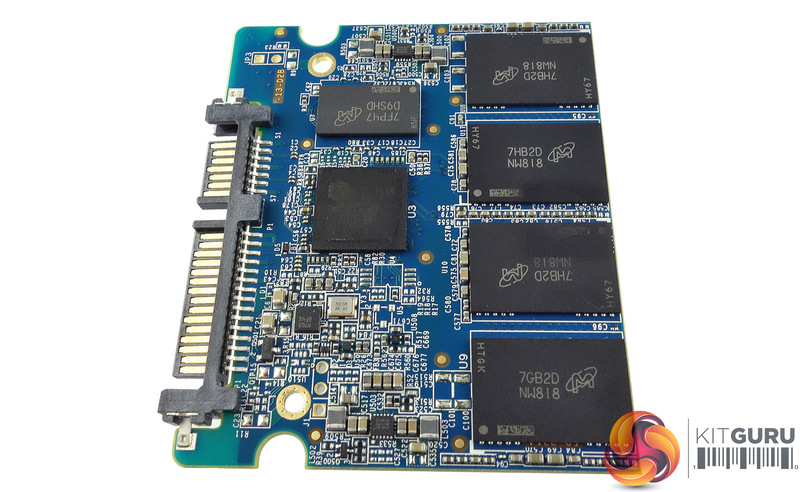 On the other side of the board are a further four more NAND packages, a DDR3 cache chip and finally the Silicon Motion SN2258 controller. 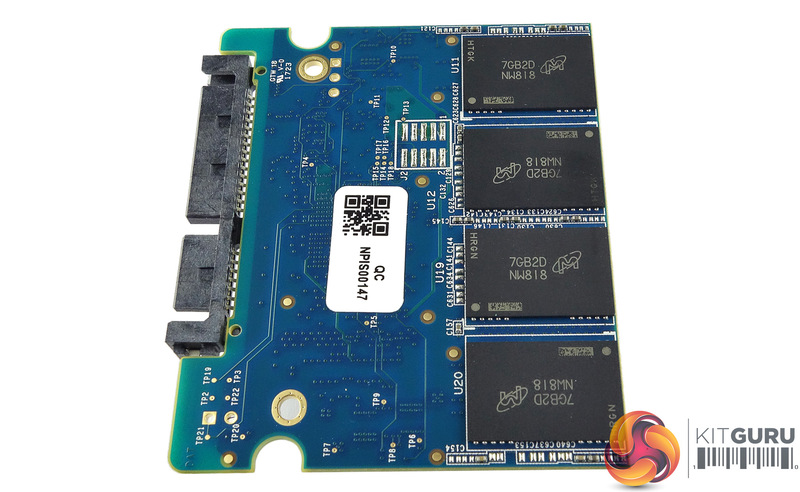 The SN2258 is a 4-channel controller using a 32-bit RISC CPU supporting 1z nm TLC as well as 3D MLC & TLC NAND. 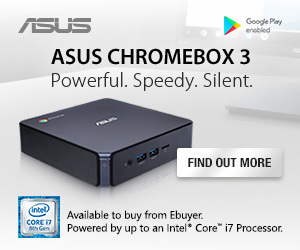 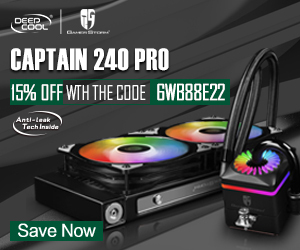 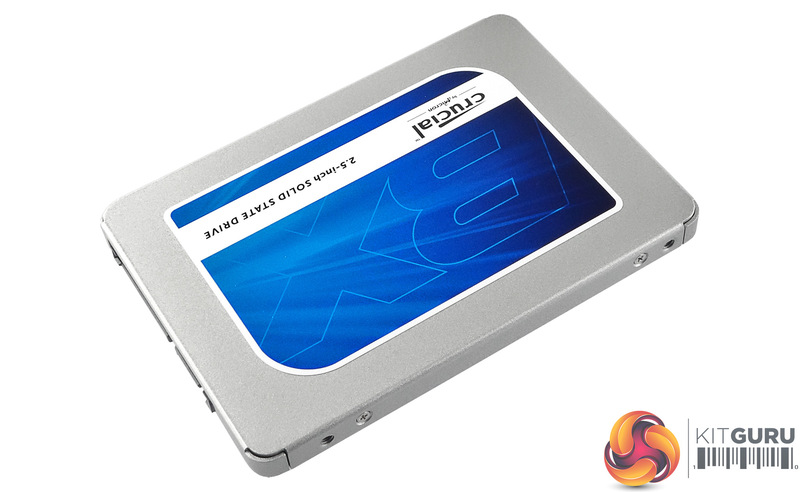 It uses Silicon Motion’s proprietary NANDXtend technology to aid in error correcting and data protection. 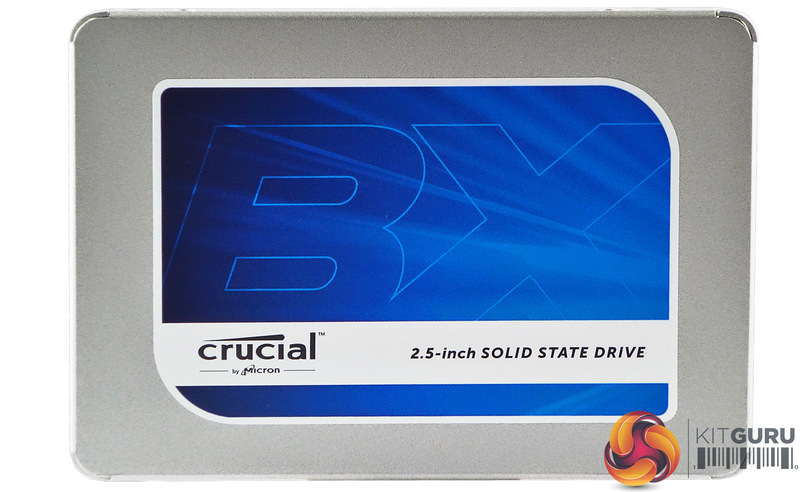 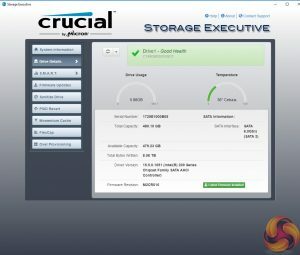 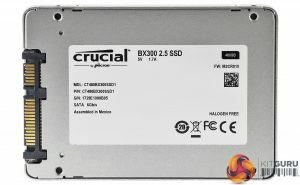 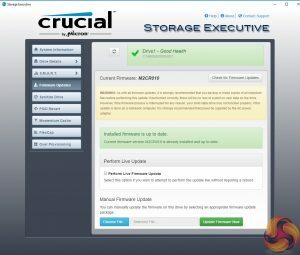 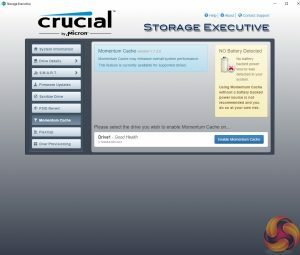 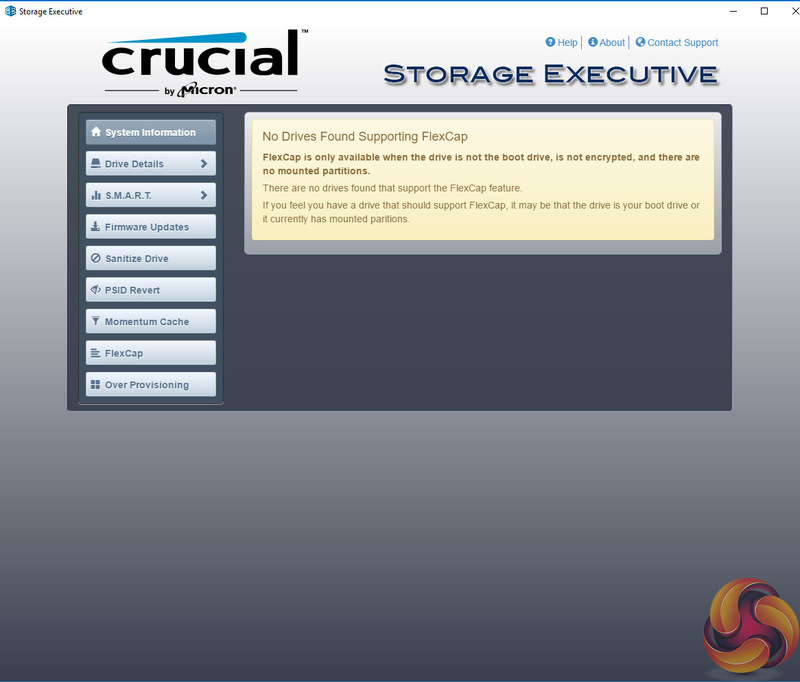 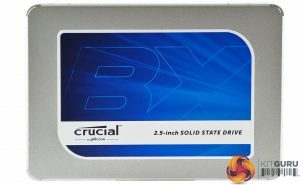 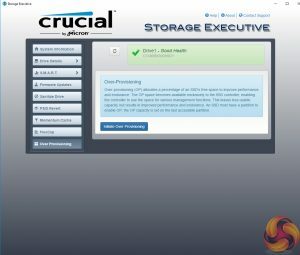 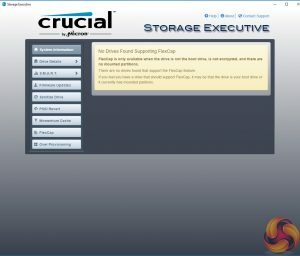 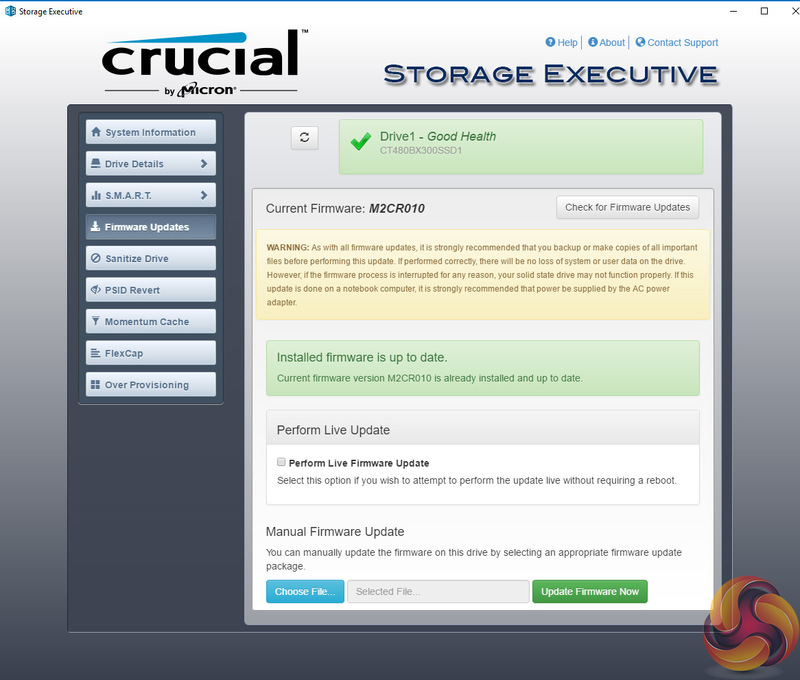 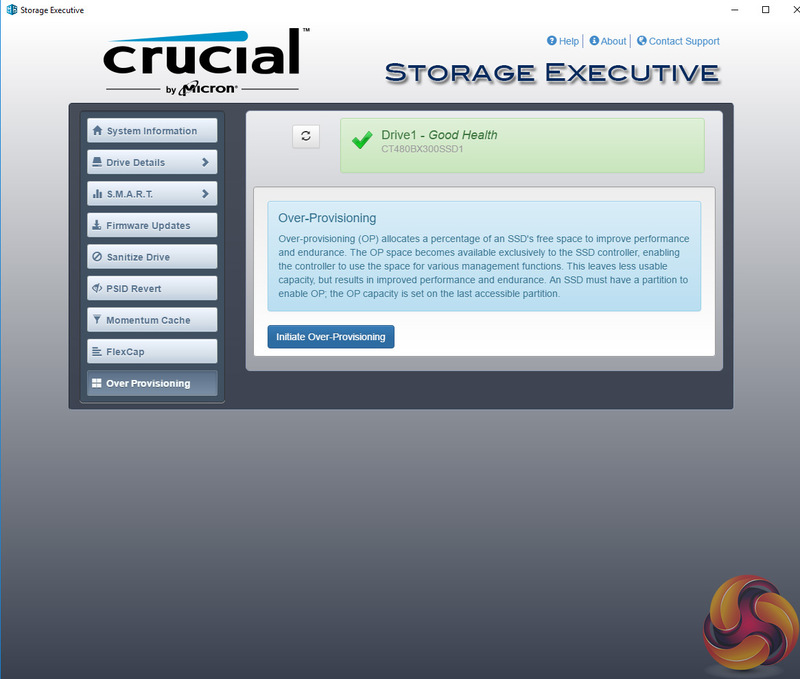 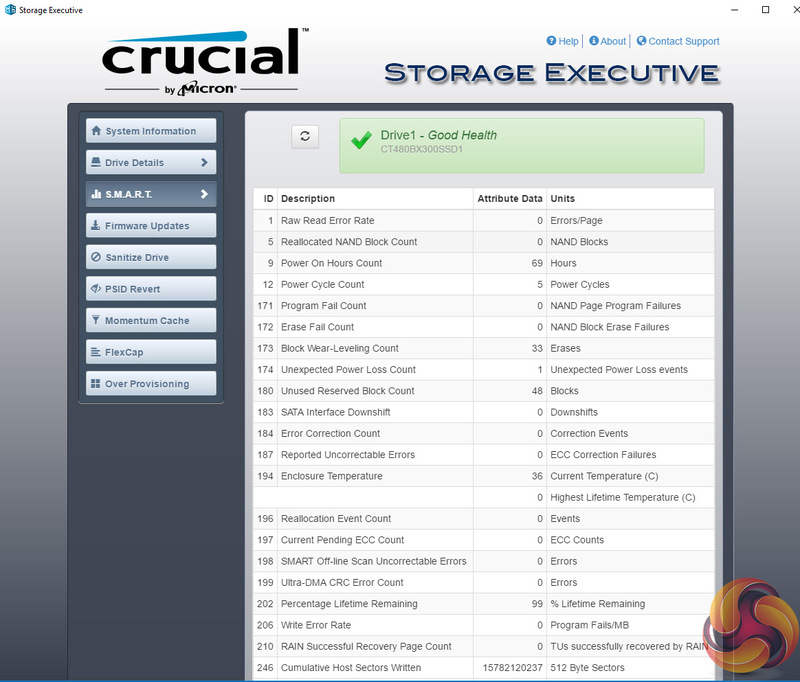 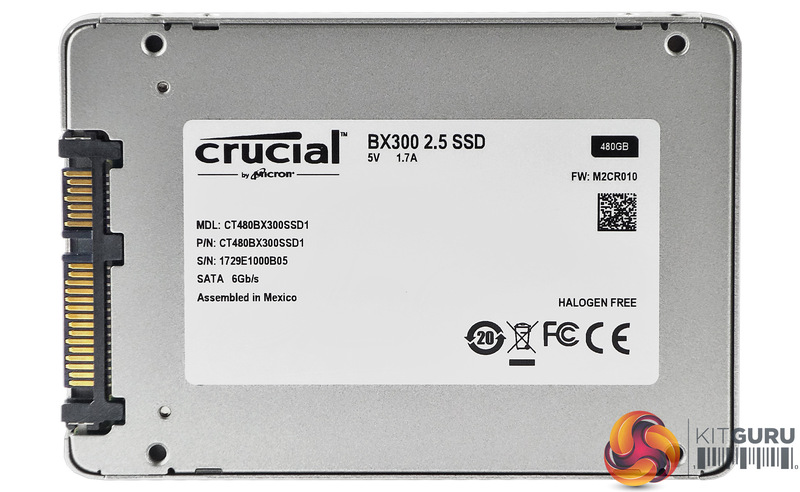 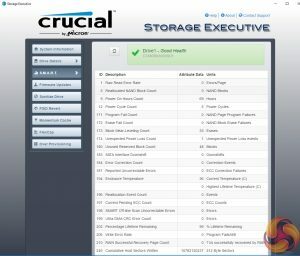 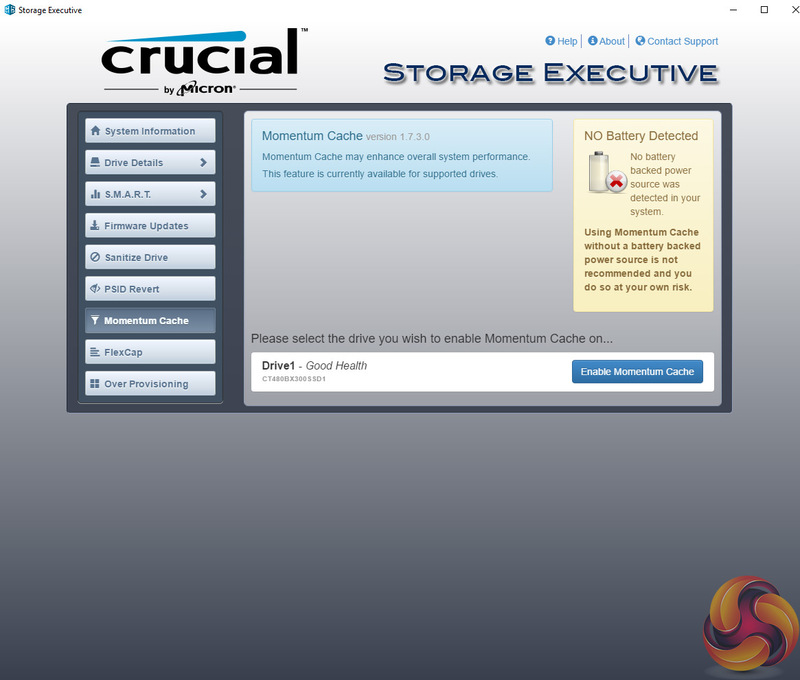 Crucial’s SSD Management software goes under the name of Storage Executive. 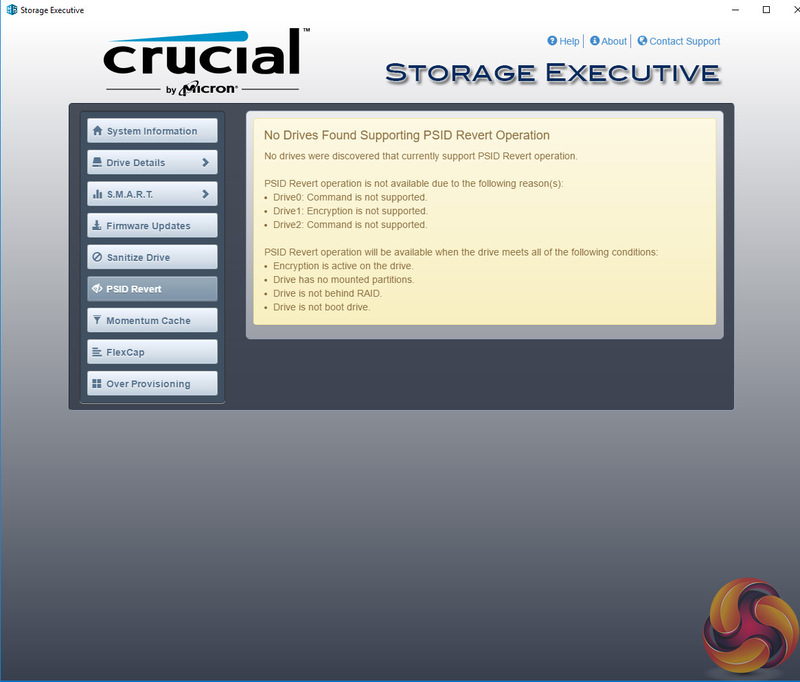 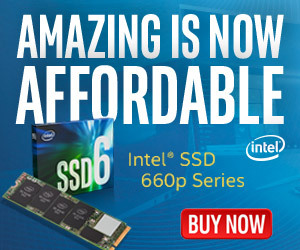 It’s a pretty comprehensive utility covering most of what can be tinkered with in an SSD. 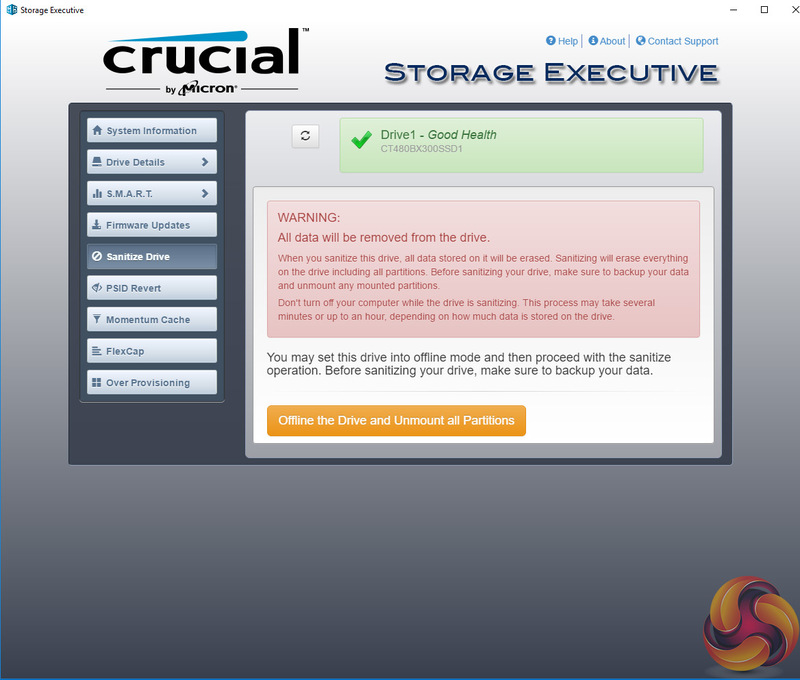 With it you can check the drive’s S.M.A.R.T data, update the firmware, see how the drive’s capacity is being used, monitor the drive’s operating temperature and overall health, reset the encryption password (if supported) and enable the Momentum Cache feature. 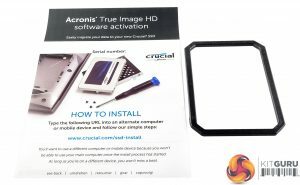 One thing that is still missing is an integrated data migration tool, but as the drive comes with a download voucher for Acronis TrueImage HD which takes care of that job, that is understandable.